If you’re an introvert (no idea what I’m talking about? Find out if you’re an introvert here – INFJ ) then struggling to get pregnant comes with a whole host of unique problems. I’m an introvert through and through. Don’t get me wrong, I love people but I really crave 1-1 connection and I need alone time to properly recharge my batteries. So what are the unique challenges of an introvert struggling with fertility? And how can you navigate them? 1. You find it hard to be in social situations sometimes. When you are navigating the highs and lows of fertility issues, it can be hard to open up to your friends about it, especially if none of them have ever faced anything similar. What makes things worse is that it’s hard to join in conversations about love island, your friends latest crush or the drama at work when it all seems so insignificant at the moment. You love your friends but how can you relate to them right now when you can’t tell them what’s going on and you can’t bear another night of gossip? If you have one close friend, try confiding in her/him if you feel comfortable doing so. Having that 1-1 connection can make it easier and can help you feel more heard. Acknowledging I was an introvert was mind blowing for my self care. Suddenly understanding that I needed – actually needed – time to myself to recharge physically and emotionally was a game changer. Looking after yourself doesn’t have to be picture perfect spa days, massages and long candle-lit bubble baths. It’s all about intention. Choosing to honour yourself and your needs above others. That might look like having an evening reading a book in bed instead of going to work drinks. It might look like leaving work on time instead of spending an extra hour helping out a colleague. It might look like asking your partner to cook dinner for you. Every moment is an opportunity for you to ask the question – what do I need right now? And honour it. Try blocking out some time in your calendar each week just for you and making it non negotiable – even it’s only 30min to do exactly what you want. No work. No chores, nothing for anyone else. Set up an alarm on your phone that goes off a few times a day and prompts you to ask the question – what do I need right now. Even if you can’t act on it, the awareness is enough and the more you do it, the more you will notice and act on your needs. Sometimes having a person is essential, someone who knows your story, knows what’s happening and is there solely to support you. Traditionally that might have been a doctor or a counsellor but in this day and age it doesn’t have to be. 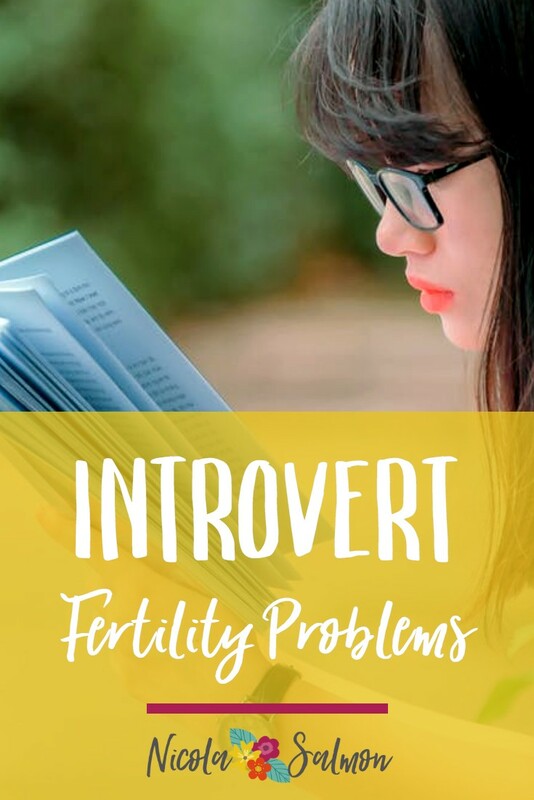 Finding a fertility coach online is the introverts best friend. You don’t have to leave your house, you can get all your support via Skype. I even offer fb messenger support for people who really don’t want to talk! It’s super important you find someone you trust and can completely open up with so that you can be your very best self on this journey. When you have been on your fertility journey for a while it can feel like you lose a part of your identity and your values become second place to your desire to become a mother.Your values and ideals are a part of who you are and you don’t have to compromise them in your quest to get pregnant. 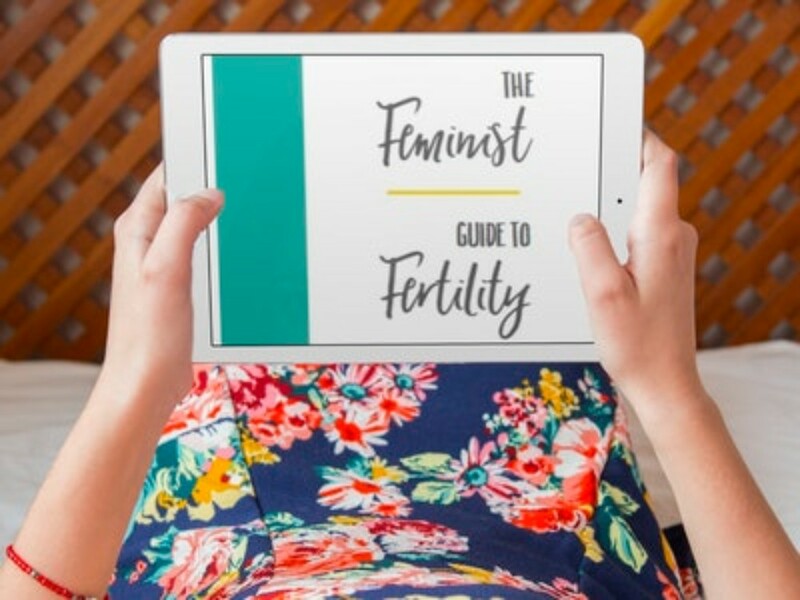 Download your free copy of The Feminist Guide to Fertility.